To date, there’s no evidence that Gov. Roy Cooper has ever appeared in a racist photo. A tweet crediting the Daily Mail with such news is false. Cooper wasn’t in the same fraternity whose yearbook page included the racist photos. Cooper’s fraternity was integrated and known for promoting inclusion, according to at least one of its members. To detect fake news, readers can look for specific things when they encounter questionable claims. In this case, the false claim about Cooper apparently evolved from a misleading headline. One of the photos shows two white students dressed in white hooded robes like those worn by the Ku Klux Klan. The students are holding onto a noose that was around the neck of another white student, who was covered in blackface makeup. The photo appeared on a yearbook page for the Chi Phi fraternity. Cooper was in a different fraternity – albeit one with a similar-sounding name – called Chi Psi. Chi Psi was known for being inclusive and had several black members at the time, according to Brad Kutrow, a lawyer in Charlotte who on Feb. 8 spoke with News & Observer reporter Jane Stancill. Although the headline doesn’t specifically say the governor was in the controversial photos, readers could interpret it to mean he was. A subheadline says, “Cooper was in the different Chi Psi fraternity did not feature on their pages,” but that subheadline is in smaller font. On Feb. 7, conservative activist Jacob Wohl tweeted the 1979 photo of the UNC students in the white robes and blackface. “BREAKING: Racist picture of Democrat North Carolina Governor Roy Cooper emerges just days after he called on Ralph Northam to resign - Daily Mail,” Wohl tweeted. He didn’t include a link to his source, nor did he respond to a question from PolitiFact. As of Feb. 8, PolitiFact isn’t aware of any photo of the governor in racist attire. And PolitiFact found no Daily Mail story that specifically implicates the governor. The Daily Mail’s headline is misleading, but its story doesn’t support Wohl’s statement. Nonetheless, Wohl’s tweet was retweeted by 3,000 accounts and likely seen by thousands more. Wohl has more than 181,000 followers. 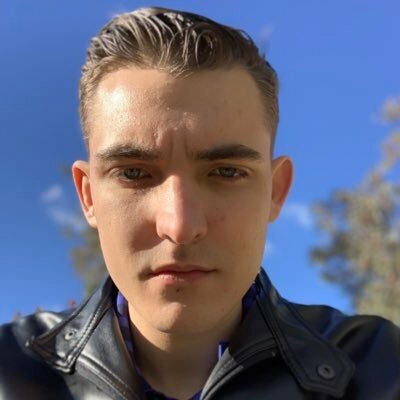 After his tweet, several Twitter accounts repeated Wohl’s claim. Wohl has a history of making dubious claims. He recently claimed that Democratic presidential candidate Kamala Harris, a senator from California, is ineligible to run for president. 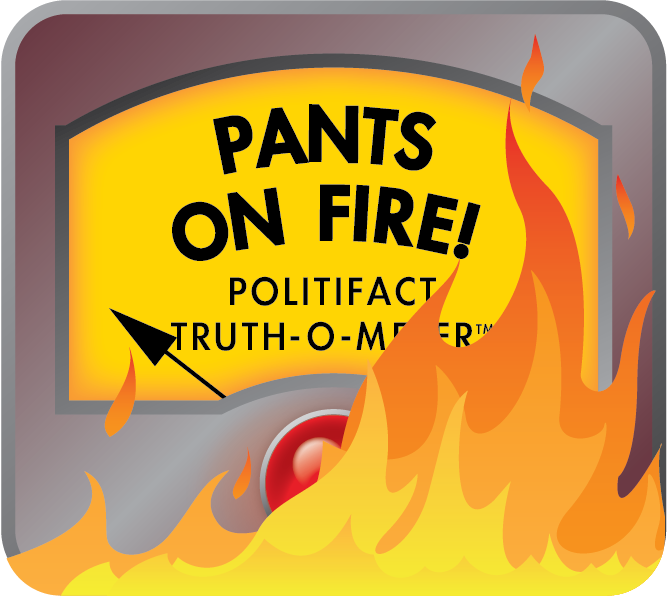 PolitiFact rated his claim Pants on Fire. Wohl’s Twitter account might not raise red flags on first glance. He has a “verified” Twitter account, has hundreds of thousands of followers and is constantly tweeting. So how would anybody be able to guess that the account is spreading misinformation? Wohl doesn’t link to the original Daily Mail article which, while misleading, clarifies that Cooper is not in the photo whatsoever. A quick Google search with keywords including “Cooper” and “blackface” tell a different story than the one Wohl presents. Headlines from mainstream news outlets focus on the fact that these photos are associated with the university and not the governor. If there are statements or claims you’re unsure of, send them to us through our tip page or email us. Wohl tweeted, “Racist picture of Democrat North Carolina Governor Roy Cooper emerges just days after he called on Ralph Northam to resign - DAILY MAIL.” To date, there’s no evidence that any image of Cooper in racist garb exists. And, while the Daily Mail’s headline about old UNC photos was misleading, the company didn’t make the claim described by Wohl. We rate this Pants on Fire. News & Observer reporter Jane Stancill contributed to this report. “Racist picture of Democrat North Carolina Governor Roy Cooper emerges just days after he called on Ralph Northam to resign - DAILY MAIL." Rashaan Ayesh is The News & Observer’s Fact Checking Fellow. She looks into claims made by politicians and pundits all over North Carolina. She grew up in Raleigh and attended the University of North Carolina at Chapel Hill. Contact her at rayesh@newsobserver.com or (919) 829-4802.